If you’re a woman, of any age, who enjoys singing and lives in San Diego County, please come and join us. You don’t have to have an outstanding voice, or if you do and are afraid your voice will overpower others, our chorus can use you! You don’t have to read music either. 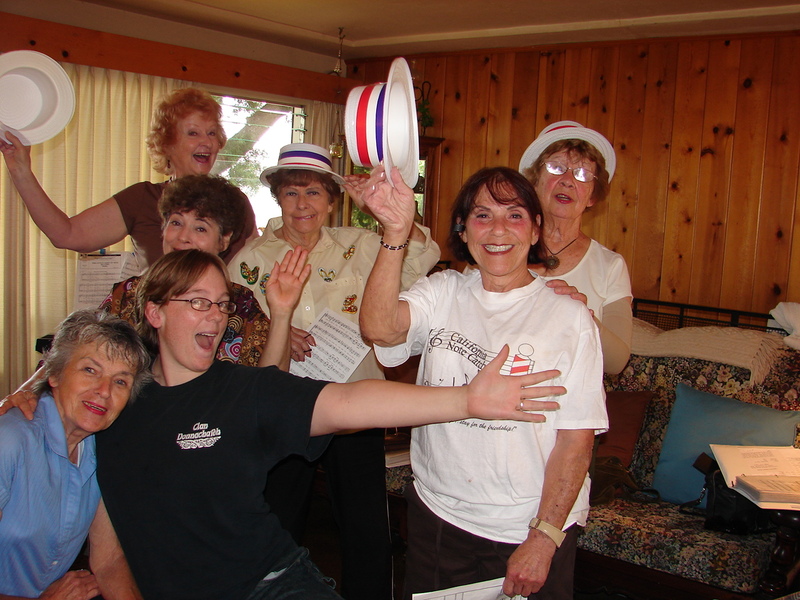 We strive in the California Note Catchers to empower each member with music, singing and performance skills. The chorus works year-round and each rehearsal is dedicated to learning and improving each singer within a supportive and encouraging atmosphere. The chorus members are friendly and helpful and can give you assistance or tips wherever you might need them. To become a member, just come to a rehearsal; we have guest music books, so you can join right in! We rehearse on Monday nights, from 7-9 pm at the La Mesa First Methodist Church at 4690 Palm Avenue in La Mesa. When you arrive, be sure to connect with Mayra, our membership person, who will get you set up. Once you’re sure our group is for you, she will help you fill out the forms. There is a one-time initiation fee and there are monthly dues, which help us support our parent organization, Harmony, Inc. and allow us to provide music, costume accessories and other items needed to run our chapter, as well. If you are thinking about joining, you might be interested in finding out What Barbershop Is.